CNC Machining is the abbreviation of mechanical processing. 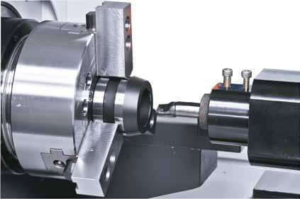 It refers to the process of removing materials by mechanical precision machining.Computer controll machining refers to the use of CNC equipment for machine workers, which include machining centers, car milling centers, electrical discharge wire cutting equipment, thread cutting machines, etc.The machining processes to make workpiece in a continuous way, which is suitable for large quantities and complex parts. When your project requires CNC machining services, you need an experienced manufacturer who can handle large quantities of orders and can quickly invest in your project. We know your request. Our machining experts are very clear that we can use strict tolerances. Our team has decades of experience in mobile phone and computer numerical control. We know that customers have many resources to process projects, but our goal is to provide services that meet all your needs. Our facilities include larger metalworking machinery than most metal processing workshops. Located in China, we have been providing quality Metal stamping Service,Deep Drawing Services ,CNC Machining Service and Wire Forming Services for many years at most economical way. We professional manufacturer & factory in China for Metal stamping,Deep Drawing, CNC Machining, Wire Forming,Metal fabrications.